To make a party extra special, simply add tulle! 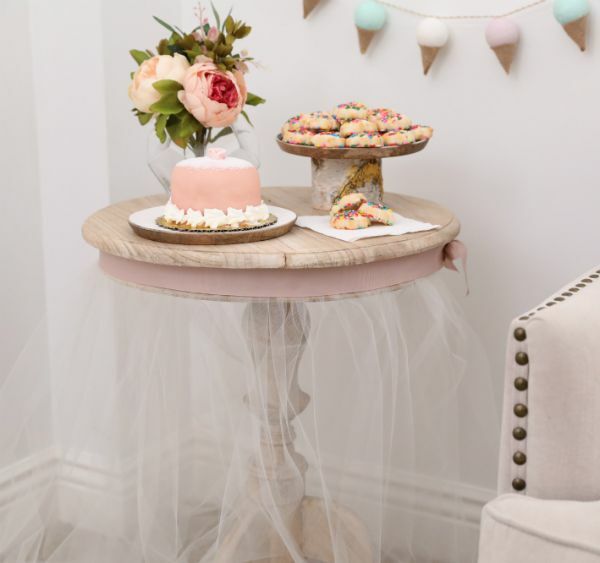 This lovely tulle table skirt will make a baby shower sweeter, a birthday party livelier, or a wedding shower more memorable. A vase of flowers and a cake placed atop a decorative serving piece will look even more festive on a table embellished with this standout decorative accessory. Whatever the party theme or venue color scheme, the project can be tailored to match the event’s mood and aesthetic. Tulle is even available with patterns, so imagine the energy and fun that polka dotted, striped, or glitter-laced fabric would add. There’s no question that the party honoree will know a great amount of thought was put into celebrating them as they feast their eyes on the elevated décor. 1. 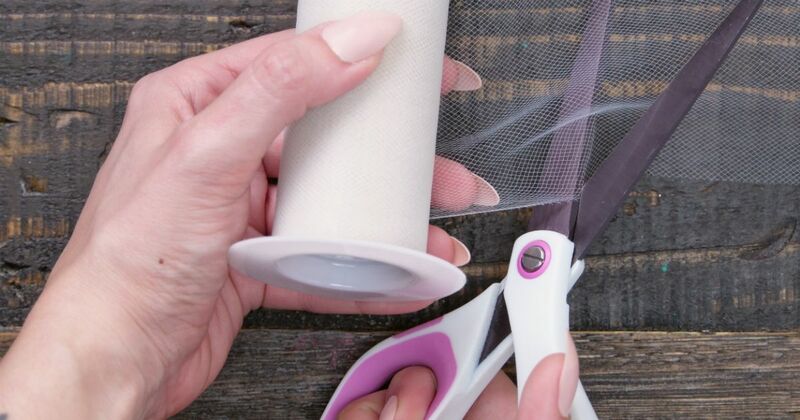 Cut about three dozen pieces of tulle with the scissors; each should be about 24 inches long (based on the measurement between the floor and the top portion of the table). 2. Cut a piece of ribbon that is just a bit longer than the circumference of the table top. 3. Place the ribbon horizontally across the workspace, and apply several dots of hot glue to the bottom portion of the ribbon. 4. Crimp the end of one of the lengths of tulle slightly so it has several folds and affix it to the ribbon. 5. Repeat this step with all the pieces of tulle, until the entire length of ribbon has strips of tulle flowing from it. Allow the glue to dry. 6. Finish the ends of the piece of ribbon by trimming them at an angle with the scissors. 7. Wrap the ribbon around the edge of the table, and put a dot of hot glue on the outer portion of one of the ends of the piece of ribbon; affix the other end of the ribbon to the end with the hot glue on it so the ribbon is securely placed around the table's exterior edge. 8. The table will now be surrounded by hanging streamers of tulle.